Where Is the Best Rock Climbing in Idaho? Did you know that Idaho has a history of volcanic and tectonic activity? Our state’s tumultuous past has created the landscape we know and love today. The rocky scenery draws climbers of all levels to explore. Interested? You’ll have to experience rock climbing in Idaho for yourself! Make sure you access our complimentary Adventure Guide for the inside scoop on planning your getaway. If you’d like a mountain adventure, start with Sawtooth Mountain Guides. As one of the most trusted and knowledgeable outfitters in our area, you can’t go wrong by going on one of their excursions. They offer a variety of climbing trips that range from beginner to expert. Plus, they will bring all the rock climbing gear you need so you don’t have to worry about buying your own or lugging yours on vacation! You’ll have peace of mind knowing they know the ins and outs of the area so you can stay safe while scaling the mountain. Super Slab, also known as the Redfish Slab, provides some excellent slab climbing. 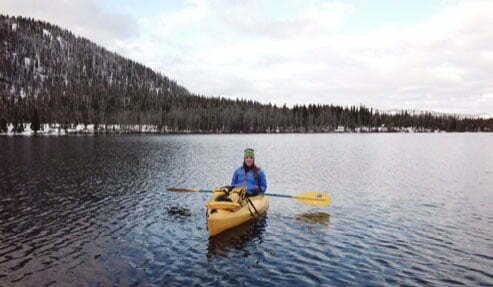 It is very convenient to get to; take the Redfish Lake shuttle boat to the trailhead. About 2 miles in, you’ll find a wooden boardwalk. Continue until you see the faint climbers trail to your right. From there, it’s just 200 yards to the base of the slab! You can find 8 climbing routes here; climbers of all levels frequent this spot because of its easy accessibility. Located just 5 miles from Redfish Lake Lodge, Williams Peak is one of the most accessible places to climb in the area. Here, the southern slopes are great for some challenging scrambling while the North Face offers a steep alpine climb! To get here, hike along the Fishhook Creek Trail until it branches right toward Marshall Lake. Travel along this trail to access all the different parts of Williams Peak! This is best climbed from June to October. If you want to climb above the clouds, you’ll love Thompson Peak. It’s the highest summit in the Sawtooth Range! The entire climb is full of gorgeous views, especially when you reach the summit. If you start from the Redfish Trailhead, it will be 6.5 miles to the summit with a total gain of 4,200 feet. Once you reach the top, you’ll be treated to sweeping views of the surrounding mountains and vast greenery below! It’s time to start planning your adventure! 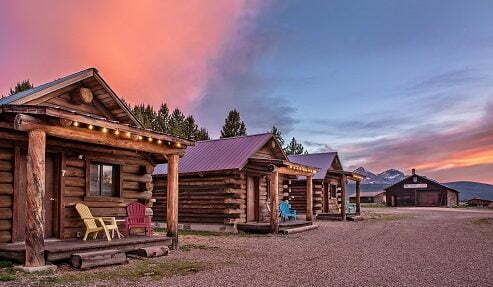 Triangle C Cabins will be your home base for rock climbing in Idaho. You’ll love coming back to your cozy cabin after a long day in the mountains. Head straight to your cabin to get a good night’s sleep to prepare for the next day of exploring, or enjoy some of our property activities with family and friends. Challenge someone to a game of bocce ball or gather around the fire to roast some marshmallows. 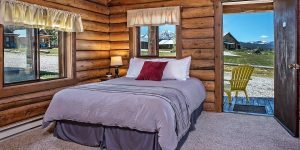 Browse our cabins to start planning your stay!